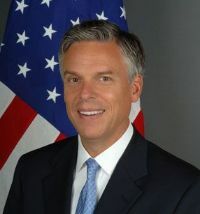 Famous Mormon Jon Huntsman Jr.
Huntsman formally entered the race for the United States Republican presidential nomination on 21 June 2011. On May 18, 2011, Huntsman opened his 2012 national campaign headquarters in Orlando, FL. His Father is CEO of Huntsman Chemical Corporation. In 1987, he graduated from the University of Pennsylvania with a Bachelor of Arts degree in political. The most polarizing issue in his campaign was a school voucher program for parents with children in private school. 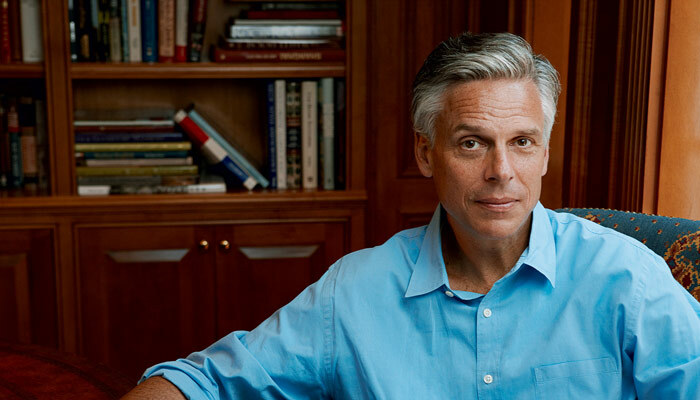 Jon Huntsman, Jr. is a famous politician, father, and leader. At the age of 15, he earned the Boy Scouts of America rank of Eagle Scout and was later awarded the Distinguished Eagle Scout Award. He went from dropping out of high school to play in a rock band, to later becoming the governor of Utah, U.S. Ambassador to China, and a U.S. presidential 2012 candidate. The high school dropout got his GED and has since received many honorary doctorate degrees. Some people don’t know the famous Mormon is a member of The Church of Jesus Christ of Latter-day Saints (often called the Mormon Church by the media). Jon Huntsman believes that it’s important to respect others’ personal beliefs, religions, and the law. “We claim the privilege of worshiping Almighty God according to the dictates of our own conscience, and allow all men the same privilege, let them worship how, where, or what they may. We believe in… obeying, honoring, and sustaining the law.”  His personal beliefs and conviction have shown in his leadership and character. Jon has said, “I believe in God. I’m a good Christian. I’m very proud of my Mormon heritage. I am Mormon.”  His maternal grandfather is Apostle David B. Haight, and he is a great-great-great-grandson of the famous Mormon Parley P. Pratt. “The Huntsman family has made its private planes available” to several Mormon prophets, who travel worldwide. Jon Huntsman, Jr. is the son of a billionaire (Jon Huntsman, Sr.), but also has been extremely successful in his own right. Although he was raised in a Mormon family, Jon Huntsman decided to get baptized when he was old enough to decide for himself. Infants are not baptized in the Church of Jesus Christ, but rather someone can choose to follow their Savior’s example and be baptized at the age of accountability (8 years old).